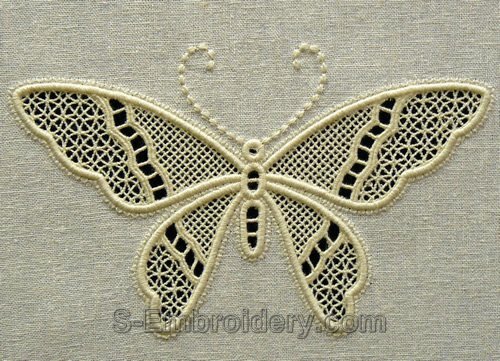 A delicate butterfly machine embroidery design in cutwork lace technique. The design will fit in 5x7 (130x180) or larger hoops. 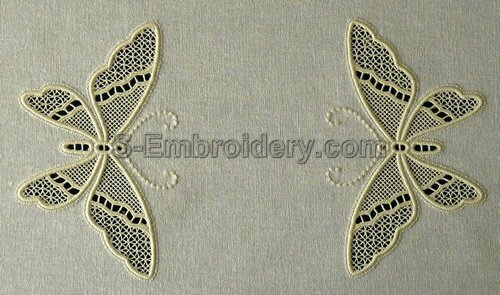 Can be used both independently or in combination with other cutwork or freestanding lace embroidery designs. 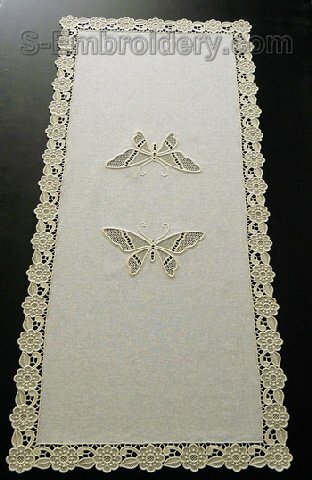 The free standing lace table runner featured on our web site is an example of adding the butterfly cutwork lace to an existing item. The table runner was created using the SKU 10544 Floral freestanding lace edging embroidery set. The lace edging design is NOT included.